Ria Family Dental is a family friendly dental clinic in Yeronga that offers a wide range of dental services for patients of all ages. Your trusted Yeronga Dental team believes in making patients comfortable and keeping them well-informed on the path to optimal oral health. Restore your teeth’s function and beauty with durable dental restorations from our restorative dentistry options. At Ria Family Dental, we keep giving you reasons to choose us! Dental crowns and bridges are two of the most popular restorative dentistry options. Not only do they replace missing teeth, they also improve the teeth’s aesthetics. Dental crowns are fixed dental restorations. They “cap” the damaged tooth to protect it from further damage and restore its other functions. 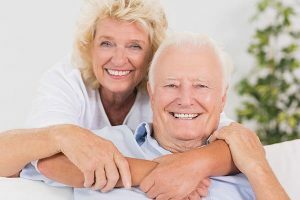 With dentures in place, your eating returns to normal, although there will be a few restrictions with regard to the food you eat; you can talk easier; your jawbone receives the normal amount of stimulation to remain healthy; your cheeks stop sagging; and you can smile confidently! A dental implant is a titanium post surgically implanted into the jawbone. The implant functions as the tooth’s root and has three parts: dental implant, abutment, and dental crown. Dental implants offer a permanent solution to tooth loss, it also answers problems such as bite pressure, irritation, oral sores, and enhancing the aesthetic appearance of your smile. Tooth fillings are resin material bonded to the tooth to fill in cracks and other damage, while looking like natural tooth. They have preventive and restorative benefits. They stop the progress of damage and restore strength.